Think of a time you told someone how grateful you were for their help, support or even just for being in your life. How did that moment make you and that person feel? Or maybe you can remember a time someone gave you something, something you didn’t buy or ask for – just a token of their appreciation? It felt pretty good, didn’t it? 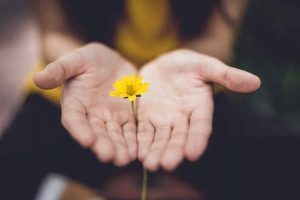 This article will look at the ways we can best express our gratitude, the benefits of expressing the gratitude we feel towards others, and how you can practice the act of gratitude whilst learning to appreciate the positive emotions that accompany it. How Can We Best Express Gratitude Towards Others? ‘Gratitude’ is a multi-layered, complex concept with multiple definitions. It can be regarded at many levels of analysis ranging from momentary affect to long-term dispositions (McCullough, 2004), as a general state of thankfulness and/or appreciation (Sansone & Sansone, 2010), and as the recognition and appreciation of an altruistic gift (Emmons, 2004). There is a wealth of evidence reflecting on the benefits we derive from expressing gratitude and appreciation; such expressions evoke an array of psychological, social, and physical benefits that promote our psychological, social and physiological health (Wood, Froh & Geraghty, 2010). Gratitude can have a lasting positive impact if we work towards incorporating it into our daily lives. The expression of gratitude is a self-promoting exercise, grateful people are found to be more likely to respond with gratitude to a wider range of scenarios and recognize the beneficence on the part of others. This leads to a positive, self-renewing, feedback loop – the more gratitude we display, the more our subjective well-being and resistance to negativity increases, and the more grateful we are likely to be (Emmons & Stern, 2013). Actions that display gratitude are more valuable than solely feeling gratitude towards others (Lambert, Clark, Durtschi, Fincham, & Graham, 2010). For this very reason, it’s important to recognize the methods by which we can express gratitude effectively and exercise them as and when the situation warrants. 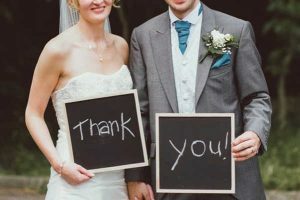 How we choose to express gratitude can depend significantly on the social context – taking a partner to their favorite restaurant to thank them for their support may be a completely suitable practice, but would not be a measured expression of gratitude towards, say, a stranger who held open a door. 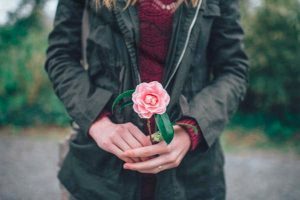 Below are just a few ways in which you can express gratitude to others – the list is by no means definitive but is a starting point for finding methods of expressing your thanks. Random acts of kindness. Random acts of kindness can yield substantial reward in terms of subjective well-being (Rowland & Curry, 2018). If you see a stranger struggling under a heavy load of shopping, offer a hand. Donate unwanted clothes to charity. Help someone lost with directions. The list is nigh inexhaustible! Be respectful. Maintain standards of etiquette in your day-to-day interactions with strangers. Just because you don’t know them, it doesn’t mean you should withhold the common courtesy you expect yourself. Hold the door open, respect their space, and be mindful of how your actions impact them. Tip your server. Going to the effort to make your experience a positive one, service-industry employees are often unsung heroes. In a fast-paced service environment, stopping a server to read them a gratitude letter isn’t likely to be received well but dropping a tip in the jar (if you can afford to) lets the staff know you’re thankful for their efforts. Volunteer in your community. Volunteering is not only a great way to connect with others and gain experience, it has also been found to increase subjective well-being and pose significant health benefits. Thoits and Hewitt (2001) found volunteer work to have a positive impact on elements of personal well-being. Those who undertook volunteering opportunities reported increased levels of happiness, life satisfaction, self-esteem, sense of control over life, physical health and lower levels of depression. Expressing gratitude can lead to significant increases in subjective, psychological, spiritual, and physical well-being; the benefits of expressing gratitude are many. Hill et al (2013) postulated that grateful individuals are better able to form social bonds, utilize coping skills to defer stress, maintain positive affect, and are more creative in problem solving. Bartlett (2012) suggested gratitude is related to increases in relationship satisfaction, social affiliation, and facilitates socially inclusive behaviors, even when those actions come at a personal cost to oneself. The expression of gratitude plays a pivotal role in building and maintaining social relationships. Research into the role of gratitude in real, ongoing, relationships looked at naturally occurring gratitude in college sororities during a week of anonymous gift-giving from existing members to new members (Little Sisters). Little Sisters’ gratitude was found to be a predictor of their feelings of integration within the sorority and indicated gratitude is about more than repaying benefits; it is about building relationships and aiding the integration and cooperation of group members. Gratitude serves the social function of promoting relationships with others who are responsive to our likes and dislikes, our needs and preferences, helping us get through difficult times and flourish in good times (Algoe, Haidt & Gable, 2008). Additionally, expressions of gratitude also increase prosocial behavior (behaviors that are intended to benefit others) by enabling individuals to feel social worth and support while simultaneously reducing their feelings of uncertainty about whether they can help effectively (Grant & Gino, 2010). Experiencing gratitude is one component that contributes to the fostering of positive feelings, contributing to one’s overall sense of well-being. Emmons and McCullough (2003) examined the emotional benefits of gratitude and the link to well-being. Participant groups kept a daily or weekly journal under three experimental conditions: ‘negative life events’, ‘things I am grateful for’ and ‘neutral life events’. Across the study conditions, the gratitude sub-sample consistently showed higher self-reported levels of alertness, enthusiasm, attentiveness, determination and energy in comparison with the other two study groups. Additionally, gratitude is connected to our self-esteem – Kong, Ding, & Zhao (2015) revealed a significant path from gratitude to overall life satisfaction through social support and self-esteem among undergraduate students. Gratitude expression is uniquely important to psychological well-being and linked to enhanced positive emotions, resilience, better coping skills, and an improved ability to manage stress, and an increase in happiness (Sansone & Sansone, 2010. Wood, Joseph, & Maltby, 2009). Happiness is subjective; the essence of what it means to be happy will almost certainly differ depending on who you ask. What is more absolute is that we all want to be happy regardless of what our own definitions may be. Peterson et al. (2005) suggested the tendency to pursue happiness via the route of gratitude is a way to live ‘the good life’. This was compounded by Lashani, Shaeiri, Asghari-Moghadam, & Golzari, (2012) who concluded that gratitude can increase positive affectivity, happiness and optimism. Gratitude expression correlates positively with self-reported physical health and, through the mediation of psychological health, increases healthy activities and willingness to seek help for health concerns (Hill, Allemand & Roberts, 2013). Studies aimed at investigating the efficacy of recording gratitude yielded impressive findings in terms of positive subjective outcomes. Emmons & McCullough (2003) found that individuals who kept and updated gratitude journals on a weekly basis reported fewer physical symptoms while feeling better about their lives in general and more optimistic about the future. When you think about expressing gratitude and thanks, how does it make you feel? Embarrassed? Awkward? You are not alone. For some, expressing gratitude does not come easily, even to those people who mean the most to us. Whether it’s a friend, teacher, or parent, the positive impact a little bit of gratitude can have is immense for both parties. It is often the simplest of gestures that speak volumes in showing your gratitude. We all have people in our lives who inspire us and generally just make life better by being in it; here we will look at ways to express gratitude to those who should really hear it. Words are powerful and the simplest, most direct, way to express gratitude to the people we may take for granted. Given proximity, a verbal expression of your appreciation in person is effective – if you can’t do it in person, make the phone call and brighten somebody’s day. Spend some time thinking about what you appreciate most about your friends, teacher, or parents and draft a letter by hand, expressing your sentiments. While recognizing your gratitude is important – just writing it down is enough to make you feel warm inside – actually reading the letter out loud is worth so much more. Maybe jumping in with a full gratitude letter is too big a first step for you to make, that’s OK! Why not try a thank you note in a thoughtfully selected or handmade card? While writing thank you notes is a bit of a lost art; it takes almost no time at all but is a sincere expression of gratitude. 3. Show gratitude through creative expression. We can’t all be talented artists, but it really is the thought and effort put in that counts. Often homemade gifts mean the most, a little bit of creativity goes a long way. When choosing a gift aimed specifically at expressing gratitude, opt for meaningful over monetary value. Gratitude in itself is a gift but giving a thoughtful, personal gift that can be kept, displayed and treasured is something really special. While expressing gratitude in person might be a big step for some, the gesture of going out of your way to tell someone how much you appreciate them is enough for everyone to feel the benefits. If you can’t make the visit in person, send a personalized video message. It’s easy to feel overwhelmed; the simple act of actively listening to your loved ones can be an effective way to show you value them. Put down your phone, remain attentive and let them steer the conversation. If you are thinking of how to show appreciation for a teacher, try making your own scrapbook or even better, ask your entire class to get involved, each student can add a page of gratitude then put it all together in a book. Make one for your friend or parents and fill it with photographs of special moments over the years. Friend, teachers and parents are probably the people we’re most grateful for but show least gratitude towards. Expressing gratitude is personal to you – you know the person best, think about what would have the most value to them. 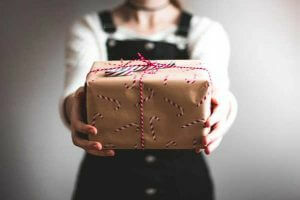 Gift-giving can be viewed as a reciprocal practice, whereby responding with gratitude after receiving some ‘benefit’ is a moral obligation (Watkins, Scheer, Ovnicek, & Kolts, 2006). However, we shouldn’t think of it as a ‘debt of gratitude’, rather as a meaningful way to cultivate social support, which is beneficial for both individuals and society as a whole. A gratitude gift might be something of material value but it does not need to be, a thoughtful and personal show of gratitude can be worth its weight in gold. Here we will look at some ideas for gratitude gifts that will beautifully express just how thankful you are. A gift that can be kept and treasured will always remind them of the positive emotions they experienced when it was received. Frame a picture – find a meaningful photograph that evokes positive memories for you and more importantly the person who is the focus of your gratitude. Gift a packet of seeds, flowers from your garden, or a plant and every time they tend to them they will remember you for this simple act of gratitude – you don’t have to spend a lot of money to show someone how much you appreciate them. Bring over lunch – preparing meals, especially if you’re stressed and overworked, can be a chore. Don’t you know someone who’d be delighted if you’d surprise them with a tasty lunch? A journal – a journal can be a beautiful gift, the recipient can either fill it with their own feeling of gratitude and continue the gratitude cycle or as a normal journal for their thoughts and musings. Each time they pick it up they will know that you are grateful to have them in your life. A little jar full of thanks – fill jar with gratitude notes and that special person can read one a day (or whenever they feel like they need a boost) – imagine starting each day knowing you are appreciated. A gift of encouragement – maybe the object of your appreciation has started a new hobby or enjoys painting, why not gift them that brush they’ve had their eye on or another related item that they’ll really appreciate. A playlist of their favorite songs or music that means something to both of you and evokes the very best memories you have together. 52 gratitude cards – this one might take some time and effort, but it really is the gift that keeps giving – even when you aren’t there in person. They can open up a card each week for an entire year! Gift a book – if that person is an avid reader, buy a copy of their favorite book, you can take this a step further and write a note of appreciation on one of the pages, or tuck your gratitude letter between the pages. Find out their favorite restaurant or place to shop and get them a gift card to indulge. Give them tickets to see the latest movie, their favorite sports team, or a ballet/opera/musical. A scented candle with their favorite fragrance, whether it’s a neighbor, a coworker, a friend or loved one who could use a lift, this is a wonderful way to show your gratitude for all this person means to you. A board game or jigsaw you can complete/play together – knowing that you want to spend time with them is a great way to make someone feel appreciated. People who cultivate and consciously participate in gratitude are more patient, make better decisions, develop better relationships and generally feel more positive and optimistic about their lives than those who do not (Emmons & Stern, 2013). If you are thinking about ways you can gain more enjoyment from life, a good starting point to propel you into a grateful way of life is a 21 day gratitude challenge (or longer if you so choose!). The gratitude challenge helps cultivate gratitude by encouraging us to actively seek out all the things that are good in life and practice the expression of appreciation. There are countless versions of the gratitude challenge, meaning there is something to suit everyone – some are more structured, giving you specific exercises to follow each day, others are far less so. While each version is different from the next, they all share the same idea; every day for three weeks, focus on the things or people you are grateful to have in your life, and then express your gratitude for them. If the idea of practicing gratitude is completely new to you, a more structured challenge can help you to negotiate the initial uncertain stage and prompt you to start really paying attention to the world around you. The gratitude challenge helps cultivate a state of mindfulness and appreciation for the simple things and to recognize the positive aspects of even the most difficult and challenging situations. Your challenge could include meditation and yoga, both have been found to promote a tendency towards gratitude as a quality of mindfulness and have been found to produce elevated experiences of love and thankfulness (Shapiro, Schwartz, & Santerre, 2002). Why stop at 21 days? Once you have experienced the positive emotions that go hand in hand with the challenge don’t be surprised if you want to continue long after the 3 weeks are up. The ultimate goal of the gratitude challenge is to make people happier and to gain more enjoyment from life by consciously developing gratitude. Really, there is no right or wrong way to take part in a gratitude challenge, simply begin and discover what comes naturally to you. We are all guilty of letting the stresses of daily life get in the way of recognizing and expressing gratitude, we often forget to stop and think about the things we are most grateful for. While the journey to gratefulness may not happen overnight, these tips will help focus your attention on setting your own personal gratitude challenge. Appreciate the small things; it’s not just about the big stuff. Write a list that is unique to you and where you are in your life right now. This can include family, friends, health, your community – even the weather! Develop your own mindfulness session and practice ‘being in the moment’, focus your attention on the ways that life is good right now rather than thinking too much about the future. The trick is to picture it in your mind and immerse yourself in the feeling of gratitude. Appreciate the good and the bad – while much of the gratitude challenge is about positive experiences, thinking about difficult situations can really help you to appreciate the good. Have a daily recap – spend some time writing down the things you are grateful for before going to bed. Writing down all those thoughts is a good way to keep track of the positives in your life and you can look back on them at any time. Download an app – there are multiple gratitude challenge apps available that help focus your attention, record your appreciation and send friendly reminders to encourage your gratitude development. Use a gratitude challenge calendar – many of these have daily prompts to help focus your mind on all the things you might not even consider. How often do we thank our parents for everything they’ve done for us? It can be easy to take the guidance, support and love of parents for granted. Why not take the time to brainstorm the things you are grateful for and why you value them so much, then put pen to paper. To help you get started, here are some letter of gratitude ideas for thanking parents. Remember specifics – recalling a specific memory that fills you with appreciation is much more effective than a general ‘Thank You’. Think of the little things, from teaching you to tie your laces to reading bedtime stories – the fact that you remember these small moments will mean so much. Include inspirational quotes that reflect your feelings of gratitude. Think of the life lessons they’ve taught you – how have these impacted you? Thanking your parents for their time – did your parents drive you to practice every weekend? Or stand at the sidelines cheering you on? Tell them how much it meant and still means to you. The way they make you feel, both now and as a child, it may seem obvious but relaying just how special your parents make you feel is something they have likely never heard before. Finish off by reiterating just how grateful you are. The important thing is to be sincere and make it personal, only you know what your parents will value hearing the most. In today’s modern world, technology allows us to take our expressions of gratitude to the global stage by way of email or even social media posts. These avenues may be preferred if you aren’t sure when you will see the individual or if you wish to express gratitude to a group, wherein writing individual letters or emails may not be a practical or timely approach. It’s tempting to ramble on when writing an email, especially when the subject matter may prompt some self-consciousness – we have a tendency to dance around the subject of import. A gratitude email doesn’t need to be long, focus on succinct sincerity and always proofread before hitting ‘send’ as typos can diminish the sentiment behind the gesture. The sample below is just to give you an example of a short gratitude email – every situation will vary. Remember to be specific and avoid generalized statements, ‘Thanks for all your help putting together the [Client name] project’, is better than ‘Thanks for all your help’. Include how their actions helped you, or in the case of a workplace, how their actions impacted positively on a business deliverable. I really appreciate the hard work you put into getting the graphics just right and the clients seemed equally impressed when we pitched this morning. Keep up the great work and I look forward to working closely with you on future projects. You may choose to opt for a social media post if want to express gratitude to a large group. Connecting via social media removes any geographical restrictions while also allowing you to address a wider audience. The private message function found on most social media platforms also provides an avenue to connect directly if you’d rather not post publicly. If it’s a friend, remember to drop the formality you may feel compelled to include in workplace expressions. The examples below can be used to get you thinking about how to express gratitude on social media either directly or via a public post. Direct message: You’re the best! Thanks so much for giving me a lift yesterday; I don’t know what I’d have done without you! Post: So thankful to all my wonderful friends who helped me moving house. I really couldn’t have done it without you. Thank you, thank you, thank you! Social media also represents a novel arena in which to record daily gratitude posts. Remember, the expression itself will promote subjective well-being; your expressions need not be individual or even group-directed. You can even include a prompt such as ‘Let me know what you’re grateful for’ to encourage those that see your post to engage with it positively – every time you get a notification of a like or comment you’re revisiting and reinforcing the positivity that expressing gratitude yields. In an ideal world the things we are most grateful for would always be at the front of our minds, unfortunately that isn’t always the case. But all is not lost! Sometimes all we need are some gentle reminders to guide our thoughts in the right direction. If this sounds like you, the following inspiring reflections for gratitude will help focus your attention on your own feelings and encourage you to think about some of the insights others have had on the concept. Think of a time when someone was kind to you, what emotions did you experience? Take 60 seconds to feel your gratitude. Ask 3 other people what they are grateful for. Take a walk and use the time to clear your mind, take some deep breaths and think about the things around you that make your feel grateful. What are you grateful for in nature? What memory are you grateful for? Why are you grateful for that experience? What challenge in your life are you grateful for? Take a moment to consider the people around you, what makes you feel grateful to have them in your life? Think about why you want to experience and express gratitude, what benefits mean the most to you? Think about how expressing more gratitude has positively impacted you. By exercising methods of expressing everyday gratitude you not only reap the rewards in terms of promoting a positive mental state while reducing negativity, but also get into the habit of focusing on the positive – in time it can become second nature. Keep a gratitude journal. Amid the humdrum and bustle of modern life, it’s easy to forget the small acts of kindness we receive. By mentally revisiting and recording these events, we reinforce the positive impact and can revisit it to remind ourselves of how much we have to be thankful for and, in turn, find expressing gratitude a more natural response. Remember to express your gratitude in person. This may seem an obvious one but it’s easy to forget to verbalize or otherwise show your appreciation to friends, colleagues or clients in the day-to-day. Expressions don’t have to be extravagant, simply stopping for a moment to let someone know you are grateful helps foster an environment of gratitude and is another simple way to get into the habit of expressing everyday gratitude. Be respectful and treat others with the level of courtesy you would like to receive. As children we’re taught to treat those around us how we would like to be treated. This mantra can serve you well in your day to day expressions of gratitude. While we can express gratitude through directly telling someone we are thankful, how we conduct ourselves and our actions provide another avenue for the expression of gratitude. Remember to smile, be patient, listen and express kindness whenever possible. Next time you’re heading on the coffee run, offer to bring back drinks for your colleagues – this lets them know you value them and chances are next time they’re on the coffee dash they’ll return the favor and you can be on the receiving end of some gratitude. Try not to complain. We have a tendency to focus on the negative; we’re evolutionarily hardwired to focus on the events which yielded negative outcomes so we can avoid them in future (Seligman, 2012). Every time we complain we’re reinforcing a negative state of mind, making it more difficult to feel and express gratitude. Remember some things are out with your control and focus on something positive instead. The workplace can be a significant source of negative emotions which in turn can lead to stress, malaise and general dissatisfaction (Ganster & Schaubroeck, 1991). While your work activities may be constrained to the ‘four walls’ of your work environment, your emotional state is unbounded by the physical. You can leave your work at work, but your emotions persist regardless of your spatial placement. Fostering a positive emotional environment doesn’t have to blow the departmental budget, one simplistic gratitude technique gaining in popularity is to display a gratitude bulletin board in the workplace. To set this up all you need is a physical board, a bit of wall-space and (depending on the type of board) pens, post-it notes or pins. When setting up your gratitude board, remember to place it somewhere prominent to help achieve maximum visual impact. Many people struggle expressing gratitude – especially in formal environments such as a place of work where professionalism may inhibit such expressions (Frohman, 2009) – so it’s a good idea to kick-start the process by adding as many gratification notices as you can, being as inclusive as possible, to encourage colleagues to follow suit. How many times have you found yourself utterly drained and emotionally defeated on the homeward bound commute? Or been in your place of work, feeling underappreciated and trying to muster the motivation to maintain cordiality and carry out your tasks? By providing a medium through which to express gratitude, you and your colleagues can take the opportunity to post a note on the board to say what it is that you’re grateful for. What can you do if your team isn’t centralized? Perhaps your work takes you on the road for extended periods. Perhaps you are part of a virtual team (VT). Well, modern problems call for modern solutions. While it lacks the visual impact of a physical gratitude board, creating an additional ‘gratitude’ group chat with your colleagues can achieve a very similar outcome. Work is a huge part of our lives! That’s why it’s as, if-not-more, important to try to promote a positive emotional environment for yourself and those around you. By applying techniques which encourage the expression of gratitude, everyone can feel appreciated and positive, turning the daily grind into the daily grin. By now you’re hopefully beginning to appreciate the powerful impact that gratitude, both the expression and receiving of, can have in increasing your feelings of well-being and happiness. The gratitude visit represents one of the most well researched and validated examples of the positive outcomes that gratitude can have yield for an individual’s well-being. Thrust into the spotlight by one of the founding fathers of positive psychology and former president of the American Psychological Association, Dr. Martin Seligman (2012), the gratitude visit combines both introspective reflection and the outward expression of gratitude in an exercise that will increase your happiness and reduce levels of depression in as little as a month. Furthermore, studies show that for a full month after a gratitude visit, happiness levels tend to go up, while boredom and other negative feelings go down. In fact, the gratitude visit is more effective than any other exercise in positive psychology (Tomasulo, 2011). Simply put, the gratitude visit consists of writing and delivering a letter to a person whom you appreciate. To start, take a moment to reflect on the positive impact others have had on your life. Focus on a time when perhaps you weren’t able to thank the individual properly or until now had let the good deed go unrecognized. Your next task involves writing a letter of gratitude to the individual emphasizing how you recognize the positive impact that their actions had on you, how it helped you and how you still recall what they did. Not to be remiss, give the individual a call and check if and when they would be available for a face-to-face visit. While an out-of-the-blue contact may raise questions, try not to get into specifics about why you would like to visit, the gratitude visit has the greatest oomph when it comes as a surprise to the recipient. Next, the visit! While you may feel self-conscious, the positive psychological outcome for both yourself and the individual to whom you’re expressing gratitude will outweigh any temporary feelings of embarrassment. Take your time and personally read the letter you’ve written – giving them the physical letter is a nice touch as it allows them to revisit the moment as an when they wish. Findings by Seligman (2012) indicated that the positive outcomes of a gratitude visit are myriad and include; increasing our sense of well-being, enhancing our relationship with the gratitude recipient, helping us alter the way we think about past events – with a focus on the positive rather than negative, prompting an immediate sense of well-being and encouraging us to think about the future in a more positive manner. Of course there are occasions when expressing gratitude is more of a focus than others, Christmas and Thanksgiving for example, are times of the of year that resonate with an abundance of messages relaying gratitude. Family, friends, and even complete strangers convey their appreciation towards one another, and while this collective expression of gratitude is heartwarming, why should it be confined to just a few times a year? With this in mind let’s explore Gratitude Day, a day to encourage the celebration of gratitude for all things great and small, in a whole host of ways. World Gratitude Day was first conceived in 1965; it was later adopted by the United Nations Meditation Group and has been celebrated by a growing number of people on the 21st September every year since. How you choose to celebrate World Gratitude Day is entirely up to you, and that’s part of the beauty. Simply taking some time to positively reflect on the people and things we are grateful for can impact us in a multitude of ways, most importantly by improving our well-being and making us happier people. Whether you choose to take a moment to think about the blessings you are grateful for, or verbally express your gratitude to others, immersing yourself in the practice of gratitude helps you be aware of the positives in your life and encourages regular practice (Allen, S. 2018). Living a grateful life takes time and practice, but with commitment and participating in days such as this, you can cultivate the attitude of gratitude into your daily life. Put it in your diary! World Gratitude Day – Saturday 21st September, 2019. After your taste of expressing gratitude on Gratitude Day, you may find Gratitude Month helps cement your gratitude practices. Running through the month of November, Gratitude Month is an exercise that encourages the daily practice of gratitude, encouraging the reciprocal cycle of appreciation. Focusing on gratitude is a great way to spend a month and creates a habit of positive thinking – a means to help navigate the stresses and chaos of daily life. During Gratitude Month, people are encouraged to journal their gratitude, participate in charity work, and give back to their community. At first you might struggle to think of what you are truly grateful for but that’s why it’s so important – through practice the act of gratitude becomes easier. The important thing is to keep your mind focused on your feelings of gratitude, practice expressing your gratitude and in time you will develop a tendency towards a grateful life. Based on the advice we are given as children when learning to cross the road, Steindl-Rast (2013) offers practical advice for living gratefully, moment by moment. STOP: We rush through life and miss opportunities because we don’t stop to recognize and act on them. LOOK: We must use all our senses to enjoy the richness that life has given to us. GO: We should do whatever life offers to us in that present moment. Sometimes that might be difficult, but we should go with it and do our best to enjoy every moment. The positive impacts of expressing gratitude are long lasting, grateful people and those who receive gratitude are likely to experience greater psychological, spiritual, and physical well-being. If we fail to appreciate the things we take for granted and continue the search for more ‘stuff’ that might make us happy in the future, will that search ever really end? I hope you’ve enjoyed discovering more about how best to express gratitude and the benefits of doing so! Let us know in the comments how you express gratitude to the people in your life. Aaronson, L. (2016). Make A Gratitude Adjustment. Retrieved from https://www.psychologytoday.com. Algoe, S. B., Haidt, J. & Gable, S. L. (2008). Beyond reciprocity: Gratitude and relationships in everyday life. Emotion, 8(3), 425-429. Bartlett, M. Y., Condon, P., Cruz, J., Baumann, J., & Desteno, D. (2012) Gratitude: Prompting behaviours that build relationships. Cognition and Emotion, 26(1), 2-13. DOI: 10.1080/02699931.2011.561297. Batson C, D. (1990). How Social an Animal: The Human Capacity for Caring. American Psychologist, 45, 336–346. Borchard, T. J. (2018). 5 Ways to Practice Gratitude. Retrieved from www.psychcentral.com/blog/5-ways-to-practice-gratitude-an-interview-with-sonja-lyubomirsky/. Emmons, R. A. (2004). The Psychology of Gratitude. New York, NY, US: Oxford University Press; pp. 3–16. Emmons, R. A., & McCullough, M. E. (2003). Counting blessings versus burdens: Experimental studies of gratitude and subjective well-being in daily life. Journal of Personality and Social Psychology, 84, 377–389. Emmons, R. A., McCullough, M. E., & Tsang, J. (2003). The assessment of gratitude. Handbook of positive psychology assessment, 327–342. Emmons, R. A. & Stern, R. (2013). Gratitude as a Psychotherapeutic Intervention. The Journal of Clinical Psychology, 69, 846– 855. Frohman, L. (2010). 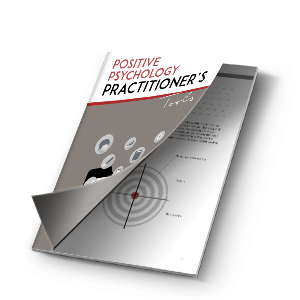 Positive Psychology in the Workplace. Journal of Adult Development, 17(2) 59–69. Grant, A. & Gino, F. (2010). A Little Thanks Goes a Long Way: Explaining Why Gratitude Expressions Motivate Prosocial Behavior. Journal of personality and social psychology, 98, 946-55. DOI: 10.1037/a0017935. Hill, P. L., Allemand, M., & Roberts, B. W. (2012). Examining the Pathways between Gratitude and Self-Rated Physical Health across Adulthood. Personality and Individual Differences, 54(1). 92-96. DOI: 10.1016/j.paid.2012.08.011. Kong, F., Ding, K., & Jingjing, Z. (2015). The Relationships Among Gratitude, Self-esteem, Social Support and Life Satisfaction Among Undergraduate Students. Journal of Happiness Studies, 16, 477–489. DOI: 10.1007/s10902-014-9519-2. Lambert, N. M., Clark, M. S., Durtschi, J., Fincham, F. D., & Graham, S. M. (2010). Benefits of Expressing Gratitude: Expressing Gratitude to a Partner Changes One’s View of the Relationship. Psychological Science, 21(4), 574–580. DOI: 10.1177/0956797610364003. Peterson,C., Park,N. & Seligman, M.E.P. (2005). Approaches to happiness: the full life versus the empty life. University of Michigan. Rowland, L. & Curry, O. S. (2018). A range of kindness activities boost happiness. The Journal of Social Psychology, 1-4. DOI: 10.1080/00224545.2018.1469461. Sansone, R. A. & Sansone, L. A. (2010). Gratitude and well being: The benefits of appreciation. Psychiatry, 7, 18-22. Seligman, M. E. P. (2012). Flourish: A Visionary New Understanding of Happiness and Well-being. Simon & Schuster, Inc. New York. Seligman, M., Parks, A. & Steen. (2004). A balanced psychology and a full life. Philosophical transactions of the Royal Society of London. Series B, Biological sciences, 359(1449), 1379-81. DOI: 10.1098/rstb.2004.1513. Shapiro, S. L., Schwartz, G. E. R., & Santerre, C. (2002). Meditation and positive psychology. Handbook of positive psychology, 2, 632–645. Steindl-Rast, D. (2013). Want to be happy? Be grateful. Retrieved from https://www.ted.com/talks/david_steindl_rast_want_to_be_happy_be_grateful. Thoits, P. A. & Hewitt, L. N. (2001). Volunteer Work and Well-being. Journal of Health and Social Behavior, 42, 115–131. Tomasulo, D. J. (2011). The Virtual Gratitude Visit (VGV): Psychodrama in Action. Retrieved from https://www.psychologytoday.com/us/blog/the-healing-crowd/201112/the-virtual-gratitude-visit-vgv-psychodrama-in-action. Watkins, P. C., Scheer, J., Ovnicek, M., & Kolts, R. (2006). The debt of gratitude: Dissociating gratitude and indebtedness. Cognition & Emotion, 20, 217–241. Wood, A., Froh, J., & Geraghty, A. (2010). Gratitude and well-being: A review and theoretical integration. Clinical Psychology Review, 30, 890-905. DOI: 10.1016/j.cpr.2010.03.005. Wood, A., Joseph, S., & Maltby, J. (2009). Gratitude predicts psychological well-being above the Big Five Facets. Personality and Individual Differences, 46, 443-447. DOI: 10.1016/j.paid.2008.11.012. Thank you for these precious words of wisdom and helpful guidance on gratitude. Indeed, gratitude makes us happier. Wow! Fantastic compilation of invaluable information, attitude and approaches. I’m grateful you spent so much time writing it, Elaine! Thanks!